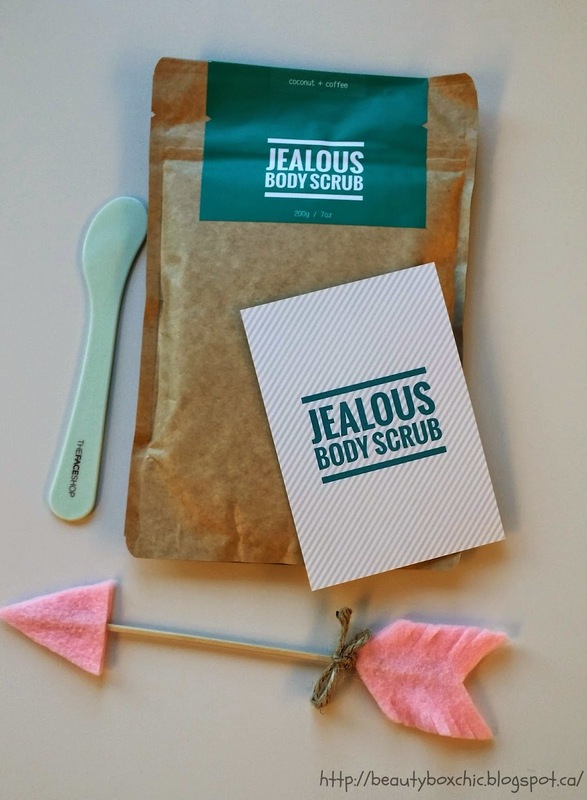 Today, I am so excited to share with you a product I recently tired called Jealous Body Scrub. Special thanks to Jealous Body Scrub for given me this wonderful opportunity to try this. I am really enjoying this product, so here is a quick review for you all! What is Jealous Body Scrub? -Premium Robusta Coffee/ Coffee Grounds: Helps stimulate blood flow, reduce appearance of cellulite, eczema, stretch marks, age spots, varicose veins, psoriasis and acne. How to purchase Jealous Body Scrub? You can purchase online. It is $17.95 CAD, they ship worldwide. Shipping is free within Canada and USA. $3.95 CAD shipping fee for all other countries. Click Here for more information. - I love the smell!! !The coffee scent smell so refreshing!!! Yes most definitely!! It worth trying!! This is my first time trying the Jealous Body scrub, is work very well on my prone sensitive skin, I have no irritation or burning sensitive after used. It is definitely a mild gentle scrub great for both face and body, this scrub really helps exfoliate my skin to restore dryness!!! Thus, I love how is made with 100% natural ingredients and really like the resealable package design and the scent!!! Omg, I love the coffee scent, it smell so amazing!!! As summer is only a few months away, we all need a good scrub to gently exfoliates our dead skin to help prepare us for the summertime!!! I definitely do recommend checking this product out. What do you think of Jealous Body Scrub ? Will you give it a try? Whoa I didn't know they are from Vancouver! I bet this smells amazing! It's a bit pricey for a body scrub but looks like a treat. Ohh sounds wonderful. 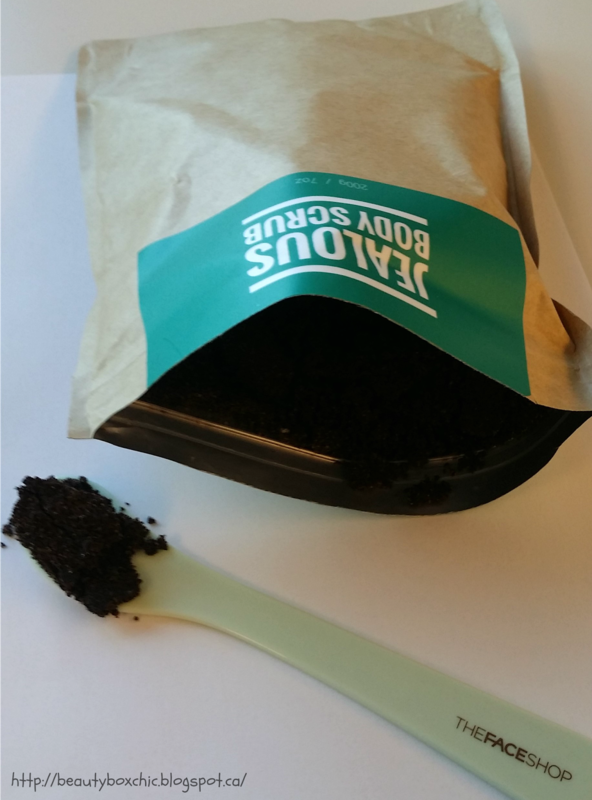 I like coffee based scrubs - felt the blood flow. Nice to see 1 made in Canada & reasonable priced. I wanna try it !! the Packaging looks really nice as well !! *que nick jonas' jealous song* I turn my chin music up, And I’m puffing my chest. I’m getting red in the face. You can call me obsessed... hahaha. i like coffee scrubs cause their antioxidant but i rarely find one here... plus youre right it does seem messy. gonna try to DIY soon tho. And thanks for pointing out that a spatula is needed for things like these haha. 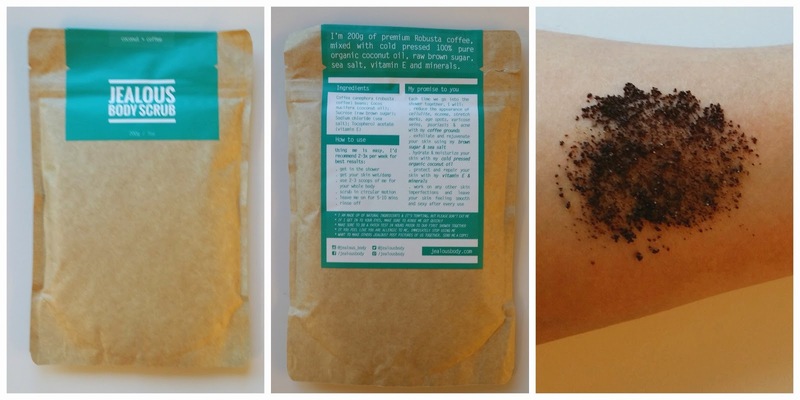 Looks pretty cool - coffee body scrubs are definitely getting big, but as a former barista I have grown to hate the smell of coffee on my body.